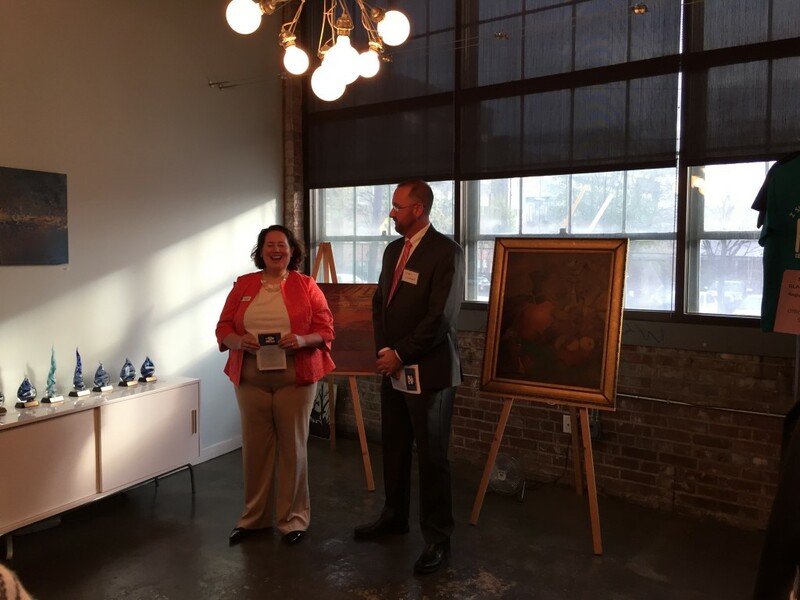 On April 21, 2016, Georgia Lawyers for the Arts (GLA) hosted the Georgia PATENTS Appreciation Reception to recognize the attorneys and firms that made a meaningful contribution to the Georgia PATENTS pro bono program during 2015. 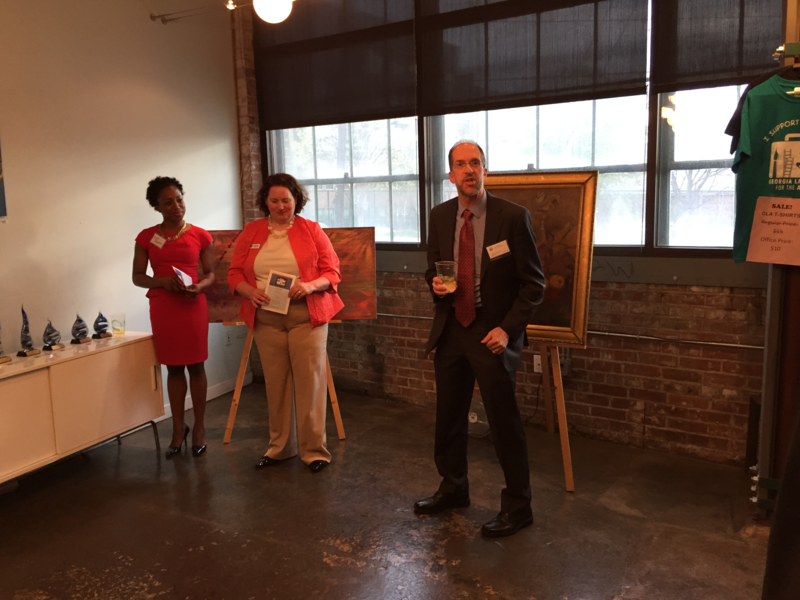 Alston & Bird sponsored the event, which included remarks from Meredith Ragains, Executive Director of GLA, John Kirkpatrick, a pro bono coordinator at the U.S. Patent and Trademark Office, and Michelle Imoukhuede, Georgia PATENTS Director. 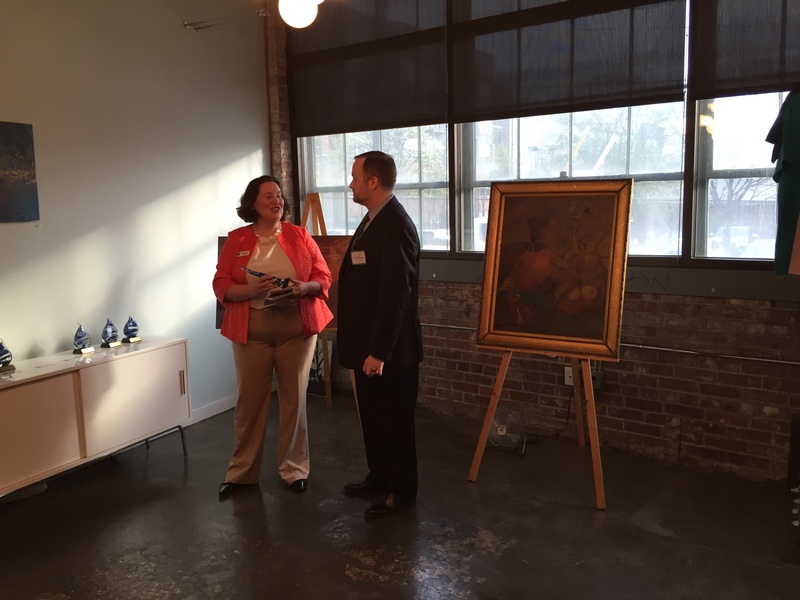 The Attorney of the Year award was presented to Chris Lightner of Alston & Bird. The Firm of the Year award was presented to Ballard Spahr LLP. Special awards for Significant Contributions to Georgia PATENTS were presented to Joyce Klemmer and Gibson Lanier of Smith, Gambrell & Russell, Chris Lightner and Cheryl Naja of Alston & Bird, Rivka Monheit of Pabst Patent Group, and Nicole Morris of Emory School of Law. Charley Brown accepting the Firm of the Year award on behalf of Ballard Spahr. Chris Lightner (Alston & Bird) receiving the Attorney of the Year award.